A visit to Castle Callenberg provides a fascinating insight into the family history of one of the most significant European ruling dynasties up to the end of the monarchies in 1918, their princely style of domestic living and their eminent importance as patrons of art and art collectors. The Saxe-Coburg and Gotha Family Foundation’s exhibition of ducal art treasures includes precious pieces of furniture, paintings, porcelain and a selection of weapons from four centuries. The Ducal Art Exhibit includes many important portraits of the members of the Saxe-Coburg and Gotha family, including Duke Ernst I, Duke Ernst II, Prince Albert and his wife Queen Victoria of Great Britain, King Leopold I of the Belgians (born Prince Leopold of Saxe-Coburg and Gotha), and continues through to today’s current head of the house, Prince Andreas. A more recent addition to the Ducal Art Exhibit is a room dedicated to displaying the portraits of the nine children of Queen Victoria and Prince Albert. It is through their nine children and 42 grandchildren that the current lines of Great Britain and Coburg were continued. The exhibit illustrates the kinship relations of the House of Coburg to Europe’s ruling nobility. The exhibit at Castle Callenberg also includes numerous pieces of beautiful Roentgen furniture, including a rare piano. The Roentgen style was a favorite of European royal houses, including the Saxe-Coburg and Gotha family, during the 18th and 19th century. Not to be missed are the exquisite house orders worn by the last ruling Dukes of Saxe-Coburg and Gotha. 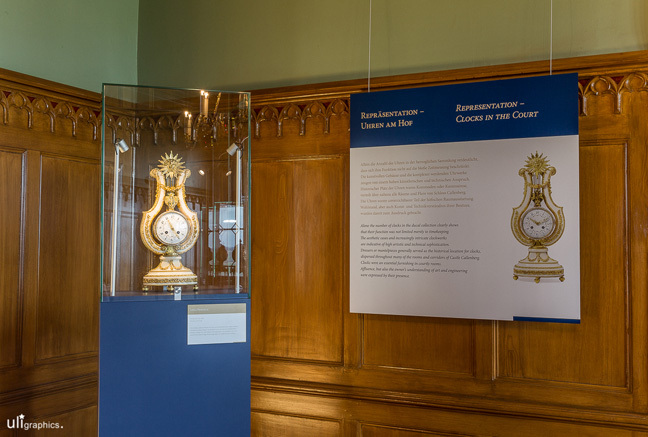 These dazzling decorations represent a unique link to the past – and are thoughtfully surrounded in the Exhibit with historic paintings that depict these royal orders being worn by their former owners. Visitors are welcome to stroll through Callenberg Castle at their own pace. However, guided tours are also available with knowledgeable and experienced guides that help make the history come alive. For detailed information on opening times, tours and prices please see the Visitors tab.